PR Diamond was founded by Phil Rizzio in 1983 with the primary goal of providing contractors quality diamond blades and bits that make cutting jobs highly profitable, effective & efficient. Learn more about PR Diamond. Insuring your cutting jobs are as profitable as possible is PR Diamond's number one priority. That's why we are committed to developing the highest quality products at amazingly competitive prices. 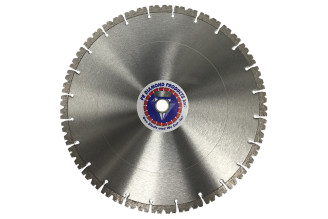 Our diamond blades and cutting tools will outlast and outperform those of our competitors, consistently making even your toughest cutting jobs more profitable, effective & efficient. Considered the finest in the industry, PR Diamond's customer service team is always on the ready to quickly assist with all your needs. We make sure you don't miss a beat when working a cutting job. Our customer service team is an extension of your team. We are here to serve your every cutting need! 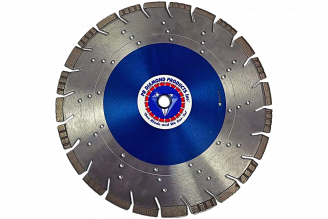 PR Diamond is a team of industry professionals with over 150 years of combined experience out in the field not only selling diamond blades & equipment but also operating them. You can rest easy knowing that when you work with us that we understand your cutting needs inside and out. When you need new blades, accessories or equipment for your cutting jobs you don't have time to waste. Everyday you have to wait for something is a day you aren't able to effectively get your cuts done. We fully appreciate how valuable your time is and are always working to make sure you are quickly & fully equipped to keep your cutting jobs moving and making money. Our blades & equipment are all warehoused at our Las Vegas offices so you don't have to worry about delayed drop shipments or lost deliveries. These days American made products are far and few between. This ultimately equates to poor product quality as well as lost jobs here in this amazing country of ours. Many of PR Diamond's products are made and/or assembled in America. We are dedicated to representing our country through superior quality and creating jobs right here at home. "Our drill operators have stated that cutting cores appears to be faster and easier with the new PR Diamond bit." "I would just like to say that I have had great success with the PR Diamond line from day-one." Read more testimonials from satisfied customers.